Dr. Chad Krietlow our Optometrist in Blaine inside Lenscrafters! 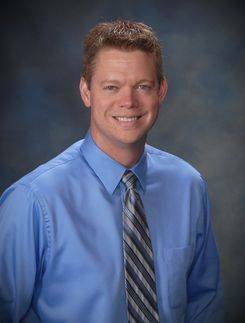 Dr. Chad Krietlow grew up on the plains of South Dakota and graduated from the University of South Dakota in 1996 with a degree in biology. He attended the Illinois College of Optometry and received a Doctor of Optometry degree in 2001. He moved to the Minneapolis area that year and later started his practice Dr. Krietlow and Associates inside LensCrafters in the Northtown Mall location in October 2002 and has been practicing there ever since. Dr. Krietlow is therapeutically trained and certified in the treatment and management of ocular disease. He enjoys fitting contact lenses and works with specialty lenses such as gas permeables, multifocals and astigmatic lenses. Dr. Krietlow sees patients of all ages, including children that may be preparing for kindergarten up to senior citizen age. He is currently a member of the ALLDOCS Network and has also been an active participant in the OneSight program. He enjoys spending time with his family and golfing in his free time.